Stay in our new campus! 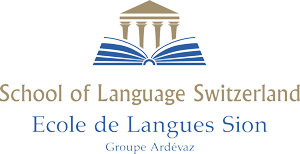 Ardevaz SLS is a language school in Sion, Valais with 40 years experience teaching students of all ages new languages. Ardevaz specialises in the following languages French, English, Spanish and Chinese; offering private lessons, group courses and corporate courses. Whether you want to learn a new language for travel, business, a new career path or a personal goal; Ardevaz SLS language school in Sion, Valais, Switzerland is here to help.